Engines - Team Mini-Max, The World's Best Ultralight and Light Plane Kits and Plans. 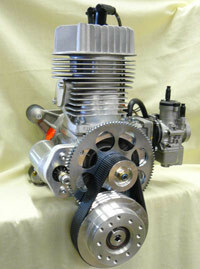 All 2 cylinder engines can be made with the cut case or full case version. All welding and machining is complete. 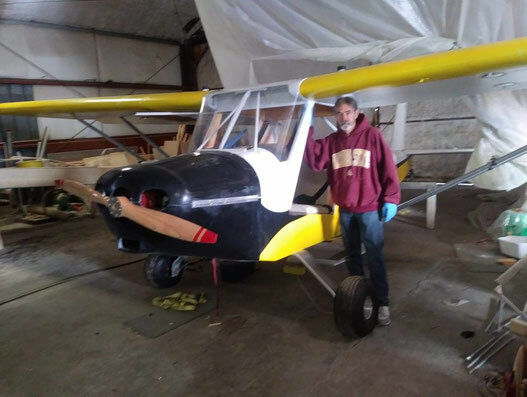 Engine is complete and has been test run. All prices do not include shipping And handling. 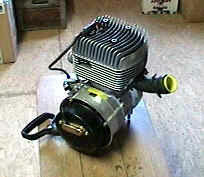 92 mm bore x 78 mm stroke 1037 cc 81 to 103 lbs. One little powerhouse of an engine. At only 35 lbs. this is one of the lightest singles you'll find anywhere. With 25ft. lbs. 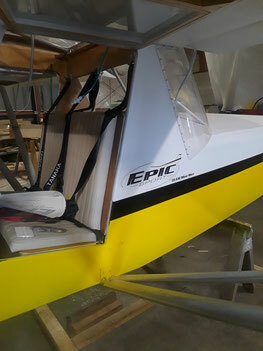 of torque, this engine packs enough punch to spin up the large props on your backpack parachute, tryke or legal 103 ultralight. Factory recommended TBO is rated at 1000 Hrs. @75% power. Standard equipment includes fuel pump, spark plugs, air filter, recoil starter, complete exhaust system and dual CDI ignition for added reliability. When ordered with optional electric start the starter solenoid and voltage rectifier/regulator are included. Standard mounting is plate type from bottom of engine. An optional crankcase allows 4 point mounting (firewall forward style) from the ignition side of the case instead of from the bottom of case. This option must be special ordered and adds 2 pounds to total weight. 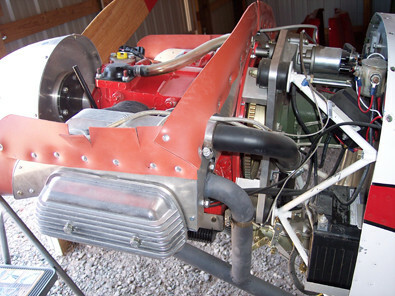 Engine pictured above is equipped with the forward style mount, electric start, and belt drive mounted in the hanging position. *Note: Starter, Drive system NOT Included in this package. Engines are produced to order from our vendor, sometimes taking over 6 months to complete depending on demand. 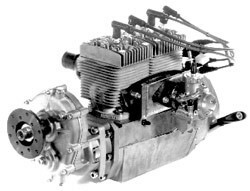 If you prefer an opposed cylinder engine, then this one's for you. The F-23 puts out an amazing 50hp at only 6150 rpm and provides 42ft/lbs. of torque. All with a total weight of only 78 Lbs. This engine can handle any part 103 ultralight and most single seat experimentals. Opposed pistons cancel out each others internal inertia forces resulting in an amazingly smooth running engine. Note : Multi V Belt Drive may be added using the drop down box. 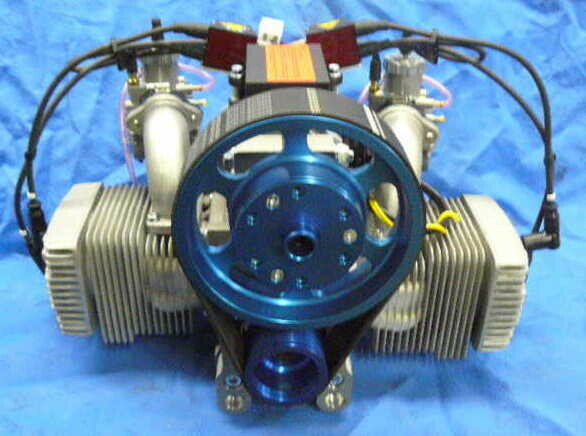 Special design-High Torque/Low Rpm Engine. 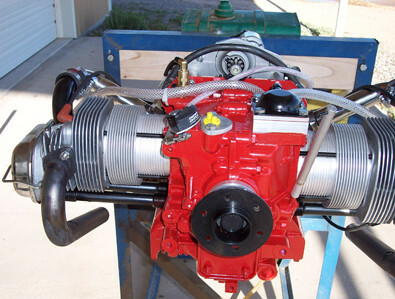 The 2702 produces 40 hp at only 5500 rpm while building an impressive torque of 39 ft lbs. at only 4500 rpm. Operating in an Rpm range 1000 Rpm less than conventional 2 cycles results in a very smooth and quiet running engine with impressive power. Fuel rate is lowered and TBO increases. The 2702 has an outstanding reliability record and is the only 40Hp on the market with dual ignition. Factory recommended TBO is rated at 1200 Hrs. @ 75% power. 2702 incorporates Al-Nikasil coated cylinders for superior performance and reliability. Al-Nikasil in simple terms is a nickel based material, applied in a paste form, when super heated it becomes part of the cylinder itself. Al-Nikasil provides for a super low coefficient of friction, reducing engine heat and wear. The pistons and cylinders expand at the same rate thus providing for a seizure resistant engine. 2702 crankshaft is 4130 chromemolly steel. Heads, cylinders, rings, block casting, connecting rods and associated components are all of the highest grade alloys available.